"I forgot to count each and every one of my babies"
DALLAS - A 2-year-old Dallas girl died after being left in a hot car. Her grieving mother, Khalilah Busby, blames herself. 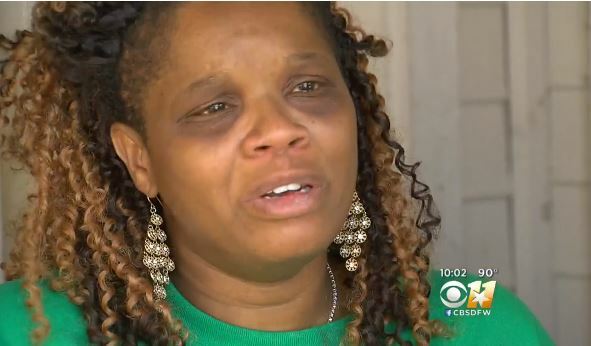 "I forgot to count each and every one of my babies," the sobbing mother of seven told CBS Dallas. "Just count your babies." After spending all day at Fair Park on Friday, the family pulled up in front of their Dallas home. Busby said she thought all her children were inside taking naps. "By somebody told me that everyone was in the house, I took that. I took that for granted," she said. According to investigators, the 2-year-old Niriah, was left in the back seat of the family's Honda Pilot SUV, strapped in her car seat for at least an hour and a half. When the girl's father went to work on vehicle, he made the horrific discovery. The family called 911 and immediately began CPR. The young girl was taken to the hospital where she was pronounced dead. Child Protective Services and the Dallas police are looking into the case, but no charges have been filed. Busby said she doesn't want any other parent to make the mistake he made. "Always look back," she said. "Always."